You could describe this salad as confusing and delicious and can’t-stop-thinking-about-it all rolled into one. If any of these apply to you, you are in for a treat. 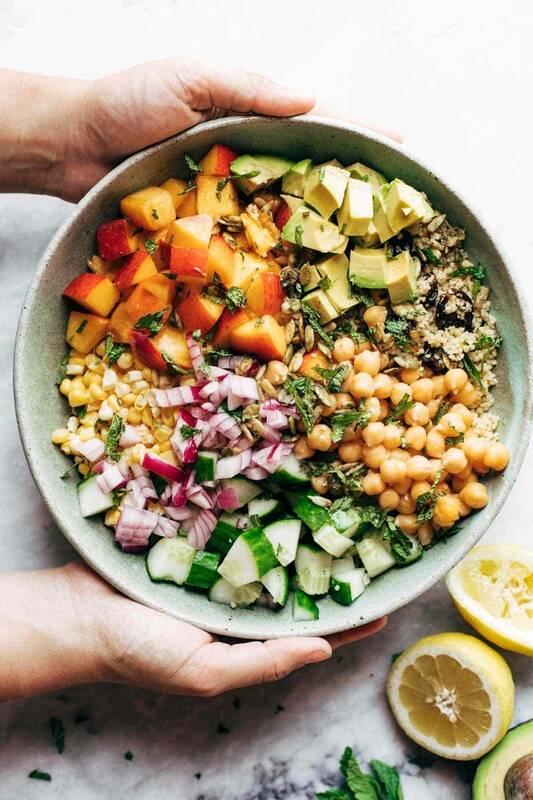 A confusing, delicious, can’t-stop-thinking-about-it Couscous Summer Salad treat. Okay, admittedly, we are working with a high number of chopped ingredients here, which does involve a small but worth-it time commitment. 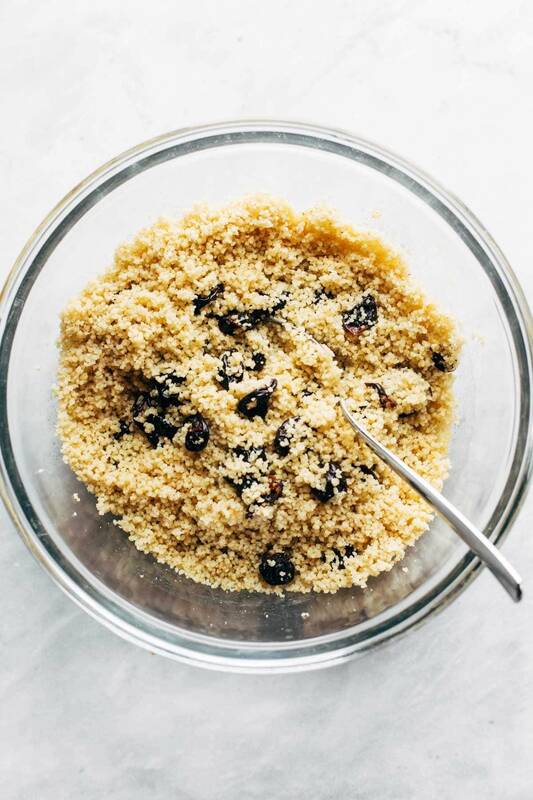 The good news is that as you chop and sip your lemonade (duh), you will soak your couscous and cherries and spices in some hot broth for a total of, what, like, five minutes? So… yeah. Lazy summer people unite. Toss, drizzle, taste, drizzle, taste, taste, taste. And I know it’s a short story, but that’s really all there is to it. 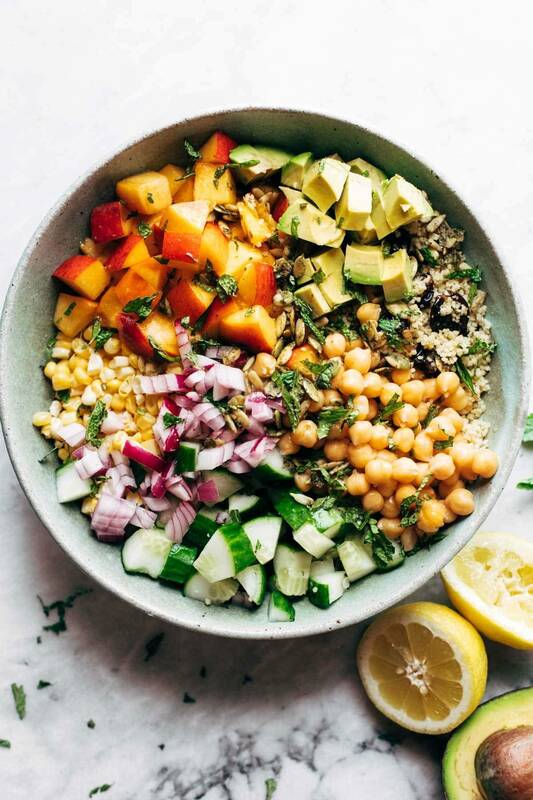 This salad is tastefully, texturally, and colorfully busy, which is just the most fun thing right now when all of our produce is so fresh and juicy and crisp. I think I’ve made it at least four times in the last two weeks. I couldn’t love it more right now. 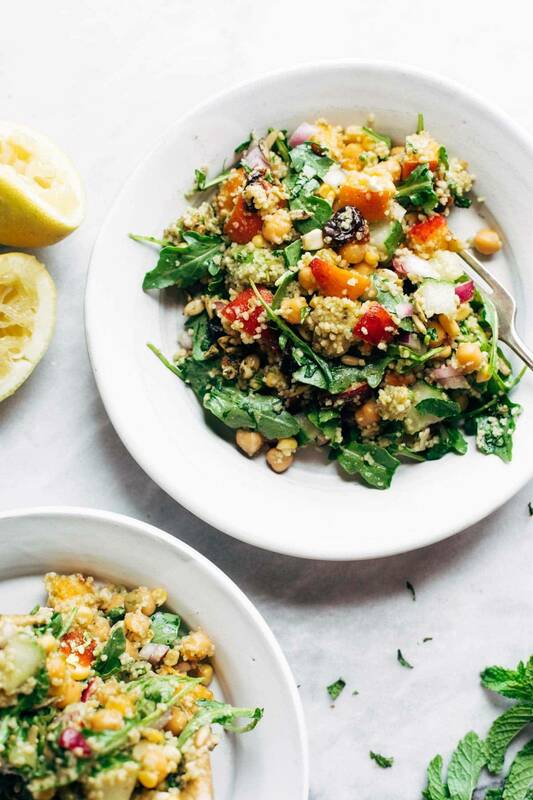 Dear summer, bringer of Couscous Summer Salads into our lives, WE LOVE YOU! couscous is cooked, about 5 minutes. Toss everything together and season to taste! This keeps for about a day as leftovers, although keep in mind that the leftovers will be softer than the day before, obviously. If you want to make this farther in advance for meal prep or something like that, just prep all the elements separately and toss together just before serving. 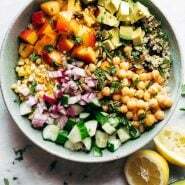 The post Couscous Summer Salad appeared first on Pinch of Yum.